One of the things I absolutely love about the Movavi Video Suite was just how the user interface was so simple and easy navigate. Trying to learn how to use a new piece of software isn't the most enjoyable experience for many people including me. Having a really steep learning curve on something can be prohibitive and put off people from adopting something new. Personally, I really don't have the time or want to spend the time trying to learn some new super complicated software to edit video; especially considering some of the options I'm already familiar with. For this reason, I can't express how happy the design and interface of Movavi makes me. All of the options and their locations were super intuitive and this meant I could jump right into the editing process instead of trying to figure out how to use the software. The first screen you're met with as soon as you open the software is precise and helps you choose exactly what you plan on doing. Aside from being able to open the software so that it's ready to edit video, you also have several other options which include the ability to record your screen, convert your video into other formats and even convert analog media into digital files. In the image above you'll also notice some other options available such as being able to edit audio files. This is actually pretty useful because having your audio in the right format or being able to record some new audio are important features. If you're planning on producing a video you have two primary options to pick from. The first option is to create a new project which allows you access to all of the software features for more detailed editing. 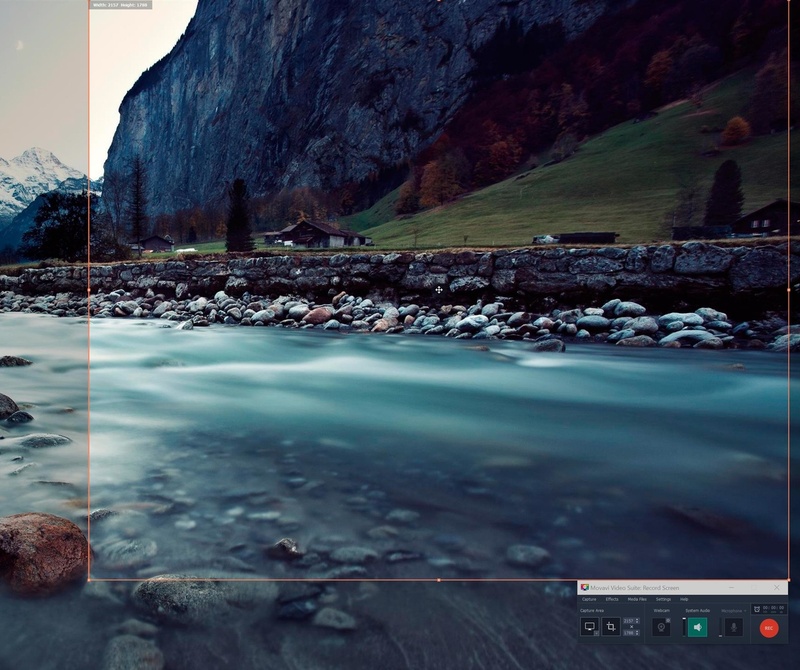 The second is a quick video feature which helps you create a video with some presets. 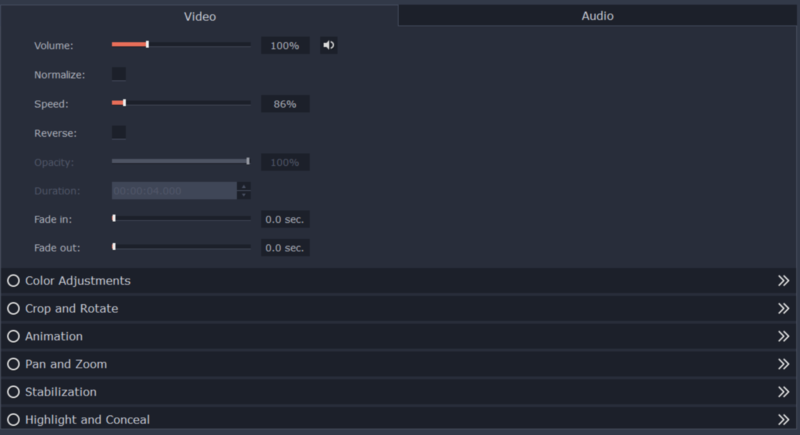 This is a great feature if you need to quickly produce a video for specific use cases. For example, if you're looking to create a short video of your recent family trip then this could be a super useful feature. You only need to import all of the photos and videos you'd like to be part of the video and the software will do all of the work for you. Of course, these specific features are not meant for professional editing and it's more designed to offer speed as opposed to lots of pro features. 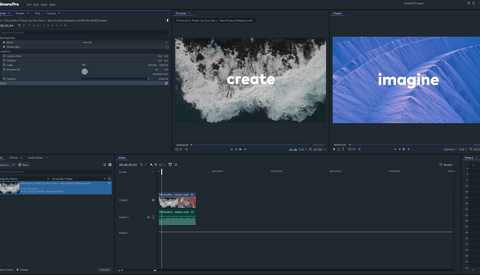 Other than the quick video feature, you can also produce videos where you have lots of control and can make use of all the different editing features. You'll obviously have the basic tools at your disposal like being able to arrange, cut, delete, resize and, merging video clips. 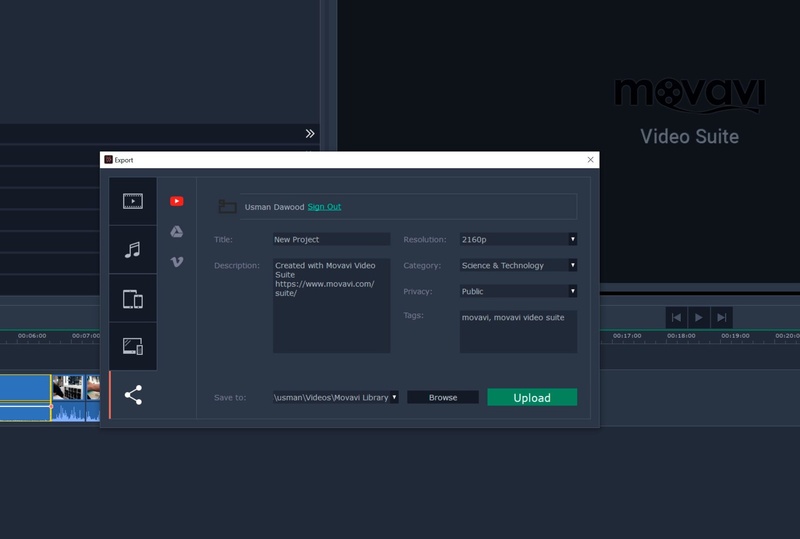 What sets Movavi apart is the fact that you also have the ability to perform more complex edits on to your videos but with an incredibly simple interface. 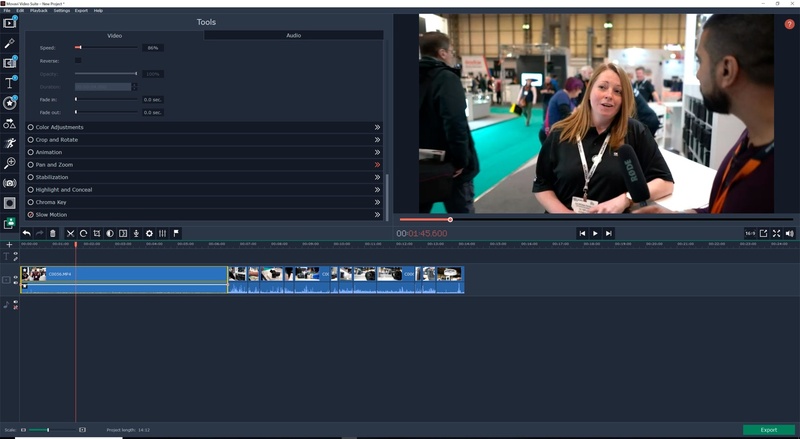 Chroma keying is something that can be more of a complex feature in many other video editors but with Movavi it's so easy and such a joy to use. It's quite literally just a matter of selecting the color you'd like to key out and then with the masking options you can be very precise on how it impacts the footage. I think this individual feature could save so much time for so many YouTubers and vloggers that use green screens in their videos. Other more complex features include the ability to slow down high frame footage. Many YouTubers use slow-motion footage to add a certain cinematic look and Movavi once again makes this so easy. It's simply a matter of using a percentage slider to add this on to your footage. 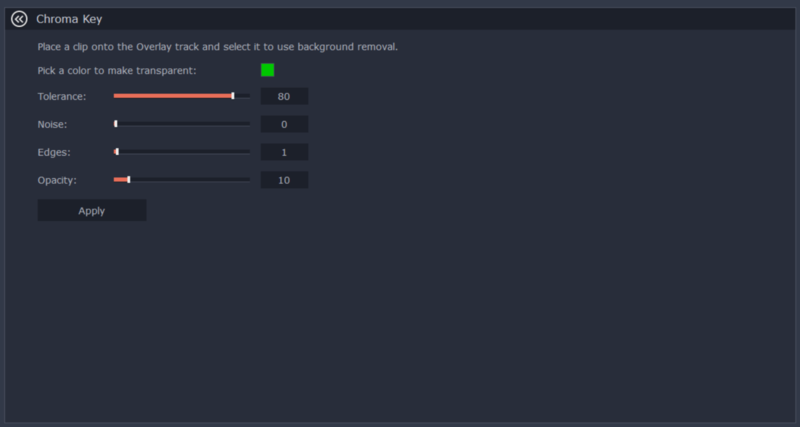 One of my absolute favorite things about Movavi is how most of the tools and editing features that you may want to use are easily accessed in the top left window. This means you're not searching around for things and again helps to prevent a steep learning curve. Finally, when once you've completed the editing process you can actually upload directly to YouTube from the actual software. You can sign directly into your YouTube account from the software and this gives you access to directly upload your videos. 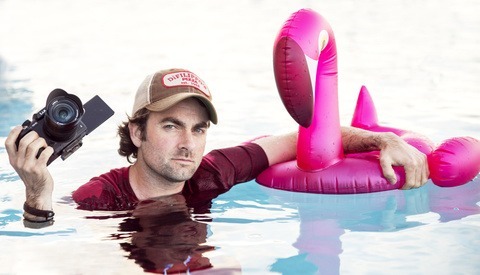 You also have the option to sign in to your Vimeo and Google Drive accounts for direct uploads too. I find that this does speed up the process and for that reason I think it's a very useful feature for many creatives. It's not very often that I need to convert files from one file type to another however when I do I'm always a little frustrated by the types of software available online. It's normally full of bloatware and tonnes of ads. 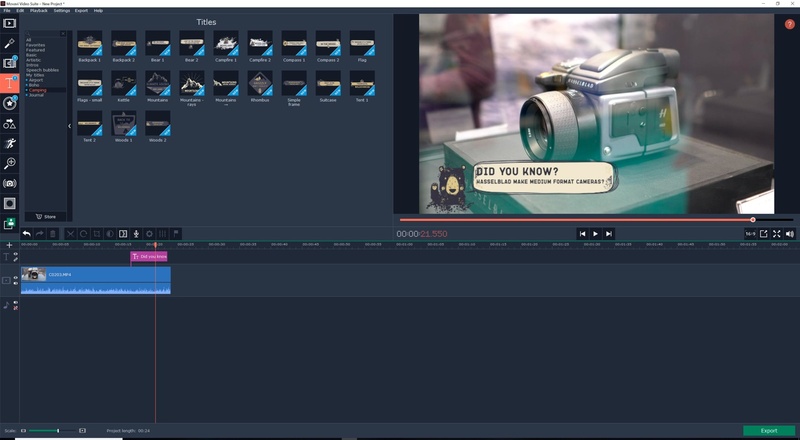 For that reason, I'm so pleased to see the extensive file conversion features that are present in the Movavi Video Suite. Currently, more than 180 different file types are supported which means that more than likely the file type you're working is probably supported. The software does work pretty fast when it comes to converting files too although this does depend on the kind of quality you'd like to end up with. If you don't mind a little loss in quality the software can convert files very quickly, otherwise, you can make yourself a cup of coffee while the software works through the conversion process. Also, to help speed up the process even more, you can perform batch conversions too. What I find quite interesting about the Movavi suite is the fact that not only can you convert digital files to other file types but you can also convert analog files to digital files. Old VHS tapes can be converted to digital files relatively easily with Movavi. For this, of course, you will need specific hardware that can connect to your computer in order for the software to work. You can also burn CDs, DVDs, and even Blu ray discs using the Movavi software. Unfortunately, I wasn't able to test these features because I don't personally own any CD drives or VHS tapes. Even still, the fact that the support is there just goes to show how the people behind Movavi have really thought things through to offer a super detailed software suite. On many occasions, I have needed to record my screen for my YouTube videos. This is normally for image comparisons in Lightroom because trying to record my screen with an external camera doesn't really work well. For that reason, screen capture software is very useful. 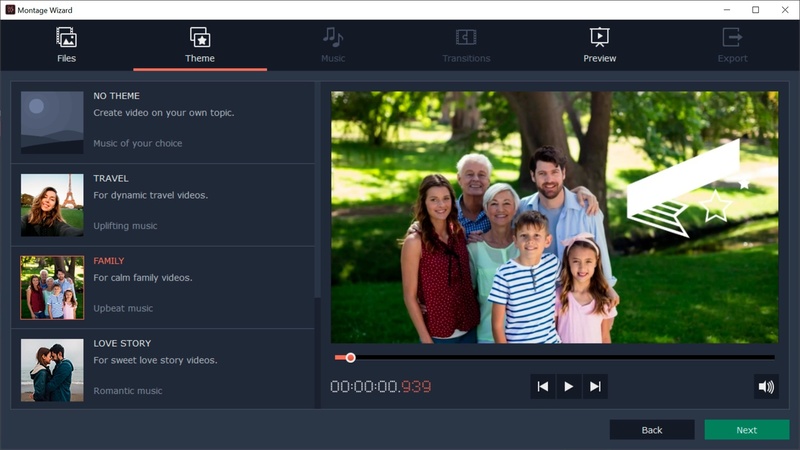 The Movavi suite includes screen recording software too and allows you to record both audio and video. What even more incredible is the fact that while you record your screen if you have a webcam connected to your pc you can actually record yourself too. Personally, I think it's more engaging for the audience if they can see you while they view a recording of your screen. What's even more brilliant about the screen recording software is the fact that you can select specific sections you'd like to record. 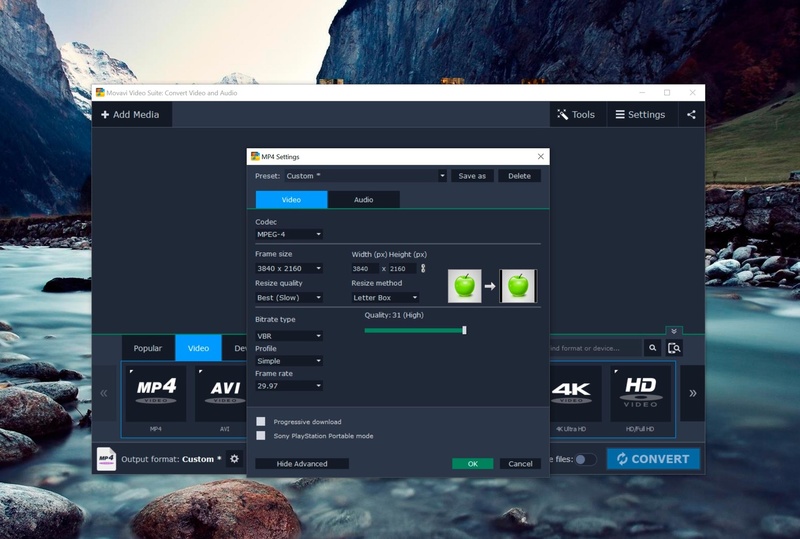 If you only want half of the desktop recorded you can select just half using the cropping features before you start recording. This is great because it just cuts down the amount of time you may need to spend cropping in post. Now I'm going to admit that my video editing skills aren't the best. In fact, I'm at the beginner level at best. This is especially true when it comes to software like After Effects and for that reason, I tend not to produce videos with lots of graphics and fancy transitions. Movavi, however, might just change that for me because their effects store is actually pretty good. I love how easy it is it to put in a complex video transition into your clips or even add dynamic titles to your videos. It's honestly such a useful thing to have and I really enjoy using them. The software does come pre-loaded with lots of these already however, the Effect Store has a wide range of other options you can buy which I think are better quality. Incredibly easy to learn how to use the software. A highly feature filled software suite with lots on offer. Effects store that helps you produce even better looking videos due to engaging graphics and transitions. The software can slow down on occasions depending on the kind of video file you're working on. Integration between all of the different features could be better although this is nitpicking. 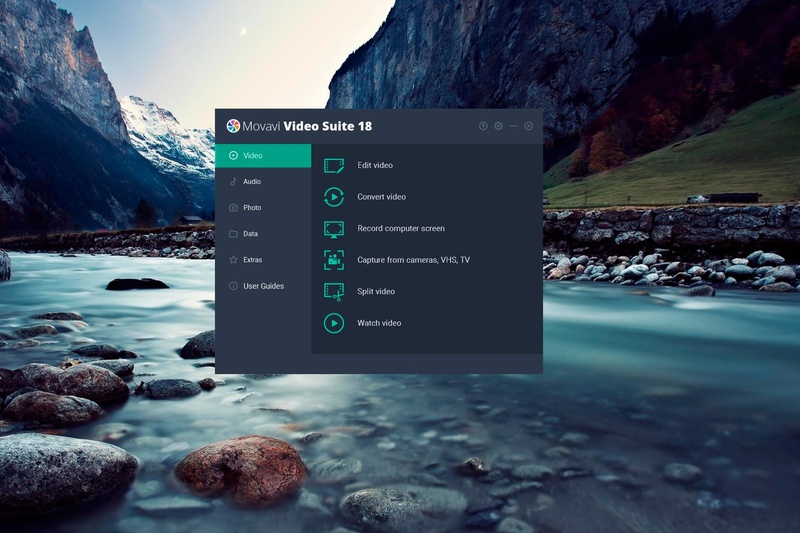 There are plenty of options available for people who want to produce high-end videos and large scale movies however I think Movavi has found a really cool niche here with their software suite. 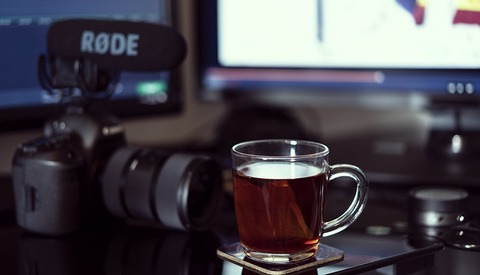 There are so many people who don't need or even want to learn super complex video editing software just to edit their YouTube videos, vlogs or content that isn't based on a huge budget. The time Movavi saves due to how easy the software is to learn and use makes such a difference and all of the individual features are incredibly useful. I genuinely do recommend Movavi, in fact I've actually started using it quite extensively for a lot of my content. I do believe the software may need some optimizations but other than that I think it's absolutely brilliant and a complete pleasure to use. Purchase your copy using the link here.